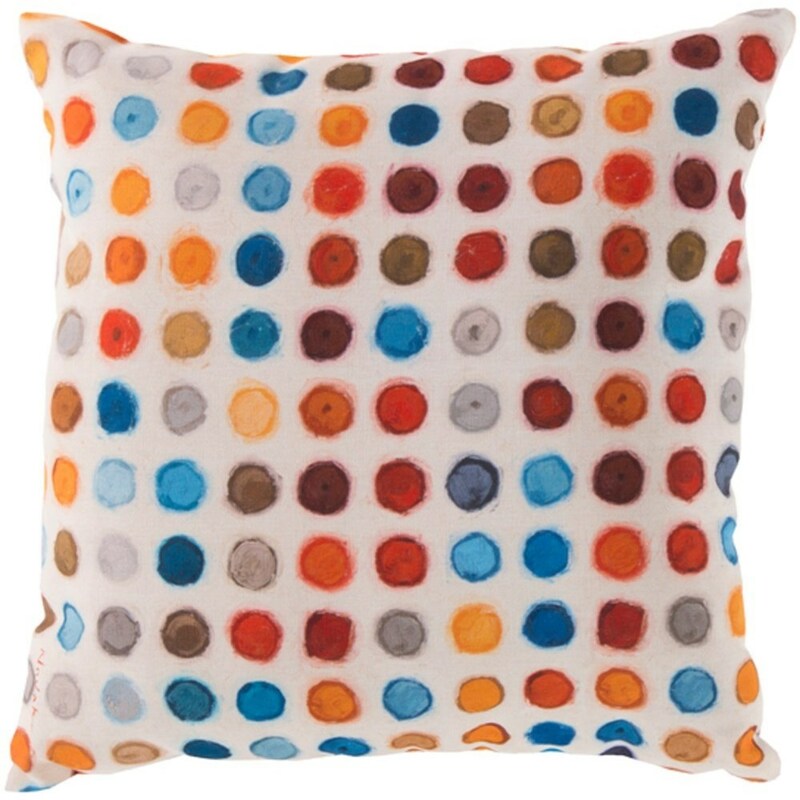 Build a bubbly, vibrant look for your indoor or outdoor space with this playful pillow! Featuring multi-colored circle designs splashed against a crisp cream backdrop, this piece is sure to create a fun upbeat look in any room! This pillow contains a Virgin Poly Styrene Bead fill providing a reliable and affordable solution to updating your indoor or outdoor decor. The Rain-4 7902 x 19 x 4 Pillow by Surya at Del Sol Furniture in the Phoenix, Glendale, Tempe, Scottsdale, Avondale, Peoria, Goodyear, Litchfield, Arizona area. Product availability may vary. Contact us for the most current availability on this product. Browse other items in the Rain-4 collection from Del Sol Furniture in the Phoenix, Glendale, Tempe, Scottsdale, Avondale, Peoria, Goodyear, Litchfield, Arizona area.